Point à la ligne: All there is to know about Kidney Stones! All there is to know about Kidney Stones! All weekend, I had to watch a friend go through excruciating pain because of a silly stone in his urinary tract. It finally led to an operation. So, I thought that maybe it was time to talk about it! Although extremely painful, kidney stones are somewhat an easily preventable disease. So, what are they and what is the role of one’s diet? 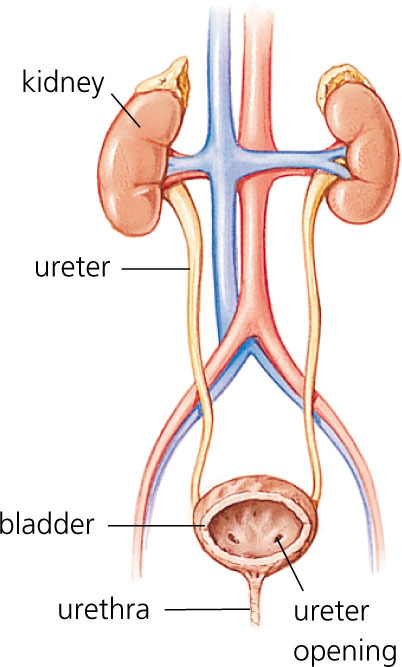 Urine normally collects in the kidneys, flows to the ureter and continues to the bladder. Some substances found in urine (calcium, oxalate and sometimes uric acid) can crystallize and form stones. 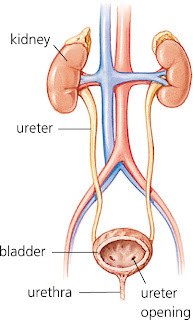 The small ones can go unnoticed; however, the large ones can block the ureter and become extremely painful. You can then either pee the stone out after medical treatment of course or it will require an operation. Calcium oxalate stones: They are the most common. They form when urine is acidic. Dietary calcium and oxalate may play a role in their formation but not exclusively. Calcium phosphate stones: They are less common. They form when the urine is alkaline. Uric acid stones: They are more likely to form when the urine is persistently acidic, which may result from a diet rich in animal proteins and purine substances found naturally in all food but especially in organ meats, fish, and shellfish. Struvite stones: They result from infections in the kidney. Preventing struvite stones depends on staying infection free. Diet has not been shown to affect struvite stone formation. Cystine stones: result from a rare genetic disorder that causes cystine-an amino acid, one of the building blocks of protein—to leak through the kidneys and into the urine to form crystals. Many factors influence kidney stone formation. They include gender (sorry boys but you have a higher risk of stone formation! ), genetics, environment, weight, fluid intake and of course diet. As you have probably realized, there are factors we don’t have any control over such as gender, genetics and environment and other we can definitely change: weight, fluid intake and diet. Overweight people seem to be more at risk of forming kidney stone. Thus, it is important to maintain a healthy diet in order to stay on the safe side. Water, water, water and more water! Our dear H2O can prevent the formation of all types of kidney stones. We normally should drink around 2 liters a day. But of course, that amount should be increased in a hot weather and according to physical activity. Some studies suggest that citrus juices may decrease the risk of calcium oxalate and uric acid stone formation. Nothing confirmed yet; however, there’s nothing wrong about a cold lemonade on a hot sunny day! It seems that grapefruit juice, dark sodas and cranberry juice can increase the risk of calcium oxalate stone formation. So, it’d be better to keep your distance! It is very important to know what type of kidney stone you have in order to prevent it with the appropriate diet. - Calcium: weirdly enough, people who are at risk of calcium oxalate stone formation should consume 800 mg of calcium a day. Why? Well, calcium binds with oxalate in the digestive tract, preventing it from being excreted into the urine. - Fibers: go for whole grains, vegetables, legumes, etc. - Animal products in case of uric acid stone formation because they increase excretion of uric acid in the urine. Non dairy animal products increase the excretion of calcium thus the risk of calcium stones. - Oxalate: most of the oxalate in the urine is produced by the body. However, consuming foods rich in oxalate can increase the risk of stones. Reduce your consumption of dark green vegetables such as spinach, nuts and chocolate. - Alcohol: It may promote purine production in the body. It is important not to drink more than 2 alcoholic drinks a day. And this doesn’t mean you can save them all for the weekend! Preventing stones is much more fun than curing them! So act now. 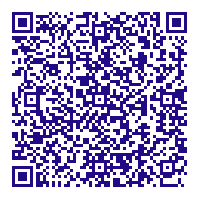 And if you have any inquiries, ask your doctor or your dietitian! Polycystic kidney disease is a genetic disorder where clusters of cysts grow primarily in the kidneys, the organs responsible for filtering waste and excess fluid from the blood. You should also pay care about the bezel. Divers have every single child see just how much time they are under water, so it is necessary that the actual diving watches possess a unidirectional past timing bezel. A definite face upon divers watches is essential also. The obvious face enables you to quickly go through the face knockoff TAG Heuer watches from the watch and find out your period. Replica Hublot watches If you should not quickly take a look at your period, you might overstay in the bottoom. You may wish to pay care about the durability from the dive wrist watches. replica Audemars Piguet watches Another point to focus on is the actual accuracy. Additionally, you will best IWC replica watches want to consider the potency of the scuba divers watches into replica Breguet watches account. What's happening, good websites you've got going here. 5 ways to stay fit while on vacation!